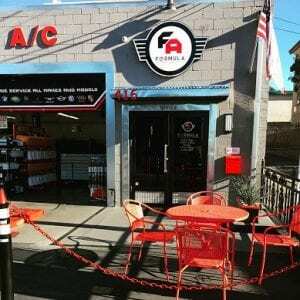 Serving since 2012, Formula Automotive Group has stretched its boundaries to provide quality car repair and maintenance to customers in two Los Angeles locations, Glendale and Burbank. 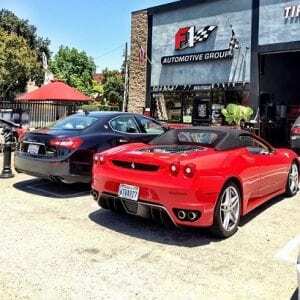 We take immense pride in serving most makes and models, including, Chevrolet, Audi, BMW, Mercedes, Range Rover, Mini Cooper, Lexus, Fiat, Jaguar, Bentley, Toyota, Acura and more. We boast of a team of highly skilled mechanics which is professional in all sorts of car repair and maintenance. With years hands-on experience, we can assure top notch quality solutions to revive your vehicle to its best performance for your enhanced driving experience. With a large inventory of replacement auto parts and tires, we are prepared to service your vehicle, regardless of the year, make, or model. You can always count on us for solutions that uplift the performance of your vehicle and ensure a fantastic ride. Our car repair and maintenance shops are open every day of the week except Sunday. Feel free to either walk in, or call and make an appointment. Call the shop below that is nearest to you for your convenience. You can also fill out our form and you will be contacted at our soonest availability.